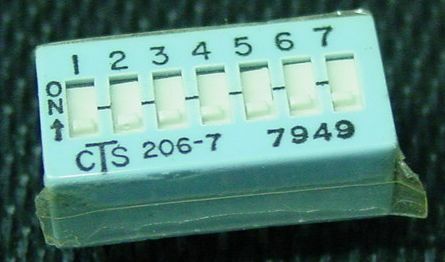 This is a CTS 7 bit DIP switch model 206-7. These switches are pulls in good, clean condition. Item weight is 0.004 pound.